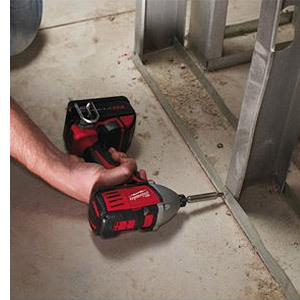 Professional 18 volt cordless M18 Compact Impact Driver 1/4" hex. Body Only - no batteries or charger - supplied in a plain cardboard box. This compact impact driver measures just 140 mm in length making it ideal for working within confined spaces. 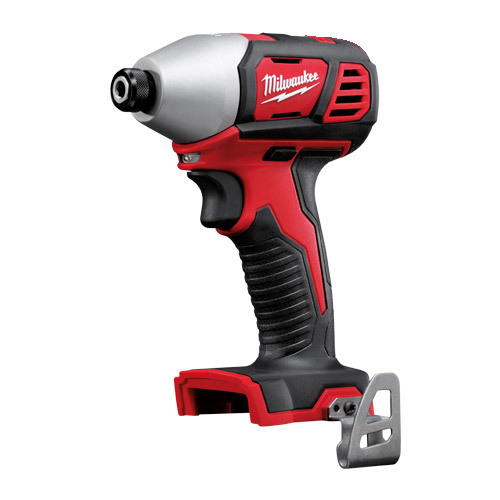 Milwaukee high performance 4-pole motor delivers maximum power whilst maximising the power to weight ratio. Heavy duty full metal gearbox and gears for superior durability and maximum torque. Hex drive with click lock for single hand loading of bit. Compatible with the full range of Milwakee Red Lithium-Ion 18 volt batteries and chargers.